On the 6th June 2011 David Conner passed away to much shock on the cartoonist forum where he was known as DC1 and well liked. 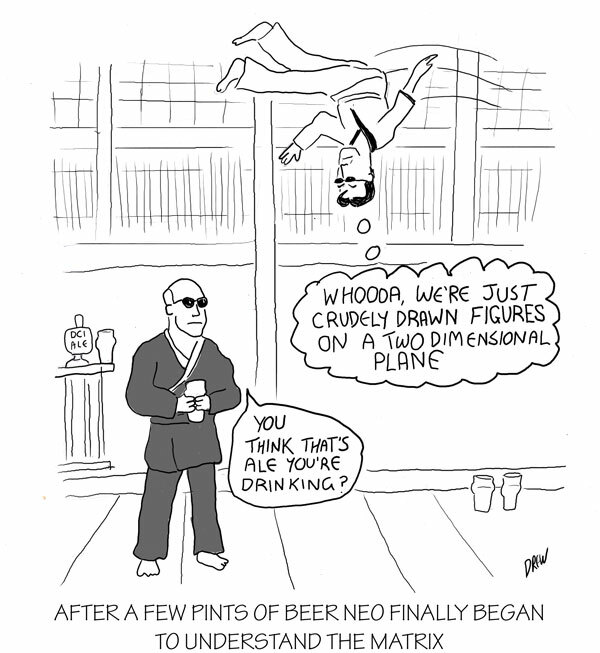 This weekend's caption compedition was a tribute to him based around three themes of Real Ale, Martial Arts and Cartooning (David's interests). I hope my crude Matrix gag does him justice.